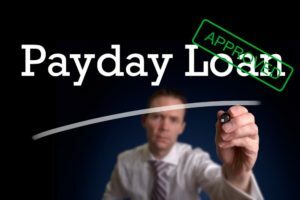 If you’ve run into a situation where you need cash for an emergency expense, such as a hospital bill or emergency medical treatment, a car repair, or just to keep the lights on until your next payday, you may be wondering if you should choose an online payday loan or a personal loan from a traditional bank. In most cases, an online payday loan will be a better option, for a number of reasons. In this article, we’ll take a look at some of the benefits that online payday loans have, compared to traditional bank loans. First, it’s usually simpler to apply for payday loans online, cash advances or online installment loans than it is to go to a traditional bank. You won’t have to wait in line, fill out complex paperwork, or deal with any other headaches. You can simply log on from anywhere with an internet connection and fill out an online form – no complex paperwork required! If you need emergency cash, and you have bad credit, you’re likely to be ineligible for a traditional bank loan. Usually, you’ll need a credit score of at least 580 to be eligible for a loan, period. If you are eligible and have a subprime credit score, you could be facing APRs of 30% or more on your loan, due to increased credit risk. Compared to bank loans, payday loans are usually more expensive. But this is because you don’t need a traditional credit check to get online payday loans. No matter what your credit is, you can get emergency cash, as long as you meet an online payday lender’s requirement. If you have bad credit and want to get a traditional bank loan, you may have the option of getting a friend or family member to co-sign. This means that, if you default (don’t pay) on the loan, the person who co-signed is responsible for paying. As you can imagine, this can be a very risky proposition. If further financial difficulties befall you, you could ruin your relationship with your co-signer, and destroy their finances. In contrast, co-signs are not required for payday loans, even if you have subprime credit or no credit at all. Do you need a payday loan for bad credit? National Payday can help! Another benefit of an online payday loan is that, in most cases, you can be approved and get your cash within just 24 hours. A traditional bank will perform a much more in-depth background and credit check, and some banks may require days – or even weeks – to approve your loan. This means that, even if you do qualify, you may get your money too late for it to be used in an emergency situation. Consider Online Payday Loans Next Time You Need Emergency Cash! As you can see, an online payday loan with quick approval is often a better alternative, compared to traditional banks and lenders. However, everyone’s situation is different, so we encourage you to do your own research when looking for emergency cash. Once you’ve examined your finances and looked at local lending options, you’ll be sure to make the right decision for your own situation, whether you choose to get online payday loans or look for a traditional personal loan from a bank or credit union. Demand Grows for Payday Loans: Are Big Banks to Blame?